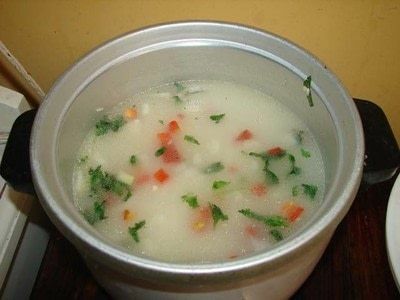 Cook Rice · How To Cook A Rice Dish · Cooking on Cut Out + Keep · Recipe by Caty C.
It's so easy and cheap! I'm from Costa Rica, and here rice is the first thing that a meal must have. So it is the first thing everyone here should learn to cook. It is very cheap and easy to cook and goes well with almost anything. I'm going to show they most common way we cook this. I'm using a rice cooker in the pics, but never mind that (unless you have one too) imagine hat i'm using a regular pot, works as well. Fist was your rice very nicely. I wrotte 2 cups for this recipe, but you can cook as much as you want, just keep in mind that it'll grow aprox 2-3 times its volumen. 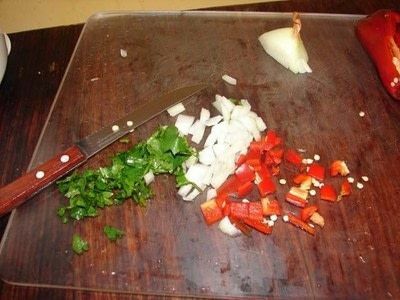 Chop the onion, pepper and coriander. Chop as much as you want, i usually end up having half a cup with all of them convined. Now, depending on what are you using the rice for, you might skip adding the spices and even the salt, that's up to you. Place you pot on the stove and heat up at max. When it is hot add enough oil to cover the surface. When the oil is hot enough add the onion, coriander and pepper and fry for a lil bit. Then add the rice and mix. Add salt at taste. 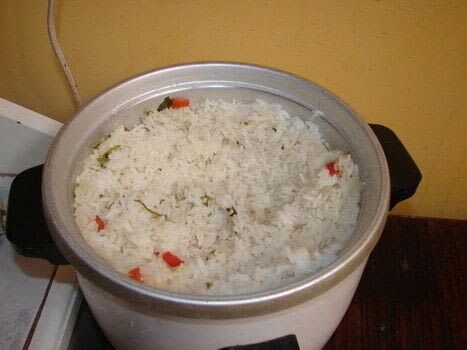 Add enough water to cover the rice, but not more than that. 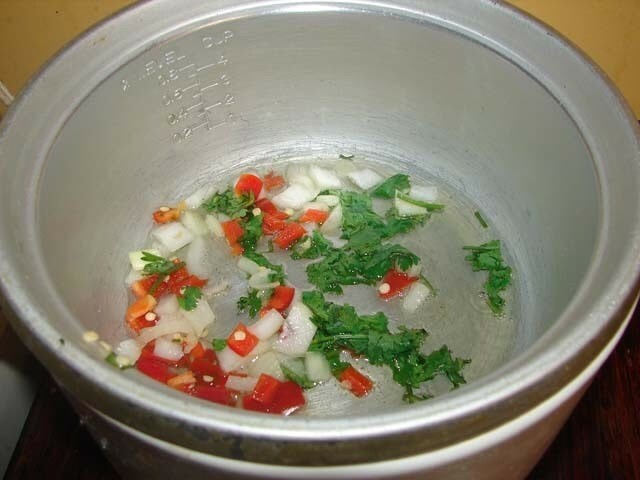 A good advice is to add just boiled waterm so it'll cook faster. 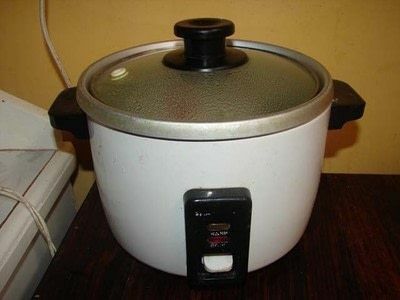 If you have a rice cooker, then this is the part where you let it work and wait for your rice to be ready. However, let's asume you are using a regular pot. Wait until almost all the water dries, then cover the rice with water again. Low the temperature to a medium heat. Cover the pot and wait until the water dries again, and you're done!!! Wow that looks really good! I just add chives to mine afterwards when I make it, I never knew you could put it in to cook with it! That is smart. Great idea, thanks! Sí! yo tb aveces le pongo atún! Pensaba después poner otras recetas con arroz ^^. rice is a staple food here in the philippines, too. but i was never taught to cook it with spices. we sure are missing a lot. will try this soon. thanks! Mmmm thanks for sharing. I really need to get one of those rice cookers!